Did you know Chloe from the AWOL team has taken on a mammoth challenge for Cancer Research this year? She’s running 100km before June 2016 (before he next birthday) to raise money for the charity we already support here at AWOL. Her 100km includes several Race For Life events, and most impressively, a marathon in October. 3 Race For Life events complete! 2 x 10km and 1 x 5km. These have been in quick succession which has played havoc with marathon training, as well as running my fair share of wet races, but it’s all for the cause. It’s been great to get a handle on running in organised events too. The Nike Women’s 10km was a huge event with 10,000 other people running on a super sunny June afternoon, great fun and my first ‘long’ run. And the humble mile race. 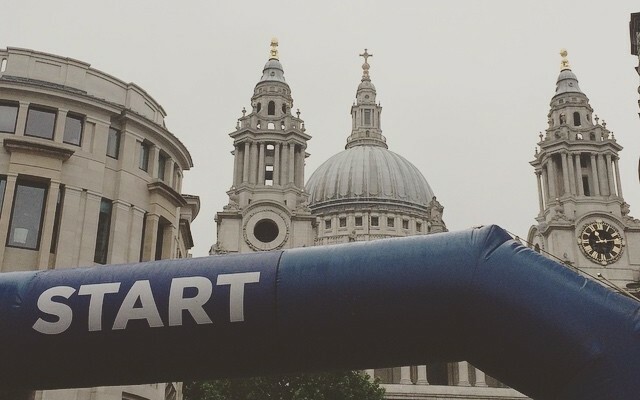 The Amba City of London Mile was my very first organised event and there’s something pretty cool about being able to run through the City of London, past St Paul’s Cathedral and Bank of England amongst others. And the next 8 weeks are all about getting good training in- long runs, a bit of cycling for cross training and focussing on the marathon goal. I’m up to about 14 miles for my long runs and it feels a bit like marathon training is taking over my life because if I’m not in the office, I’m running, or thinking about running or wondering what to eat to fuel my running. 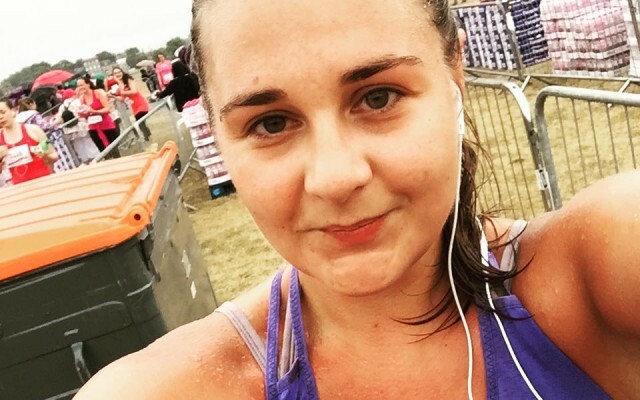 If you want to sponsor Chloe’s attempts to get the miles in, you can find out more about why she’s running and which races, including which marathon she’s running on her JustGiving Page HERE.